This time its a wrist pin cushion on Sew it. I was so engrossed in learning to crochet that I almost missed this wednesday’s feature on Mayya’s blog I was so…. tempted to do it later but, then I felt I should try to finish it since its such a small and simple project. Once I was through I felt great, moreover this will be my first pin-cushion. 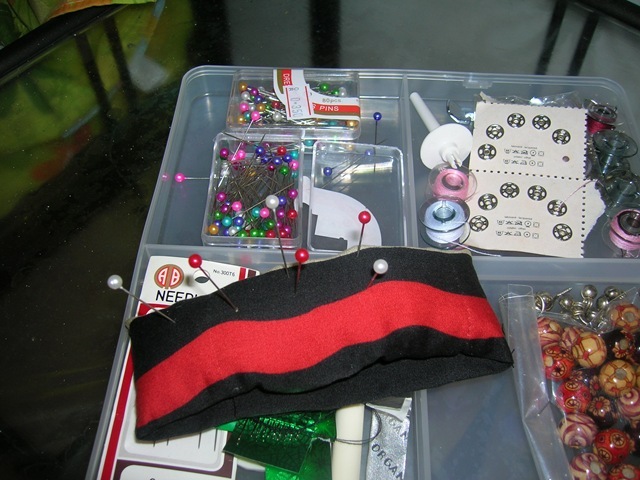 Here’s the picture …..
You can get this tutorial on the long thread. I just took 1hr to complete it. Thanks! 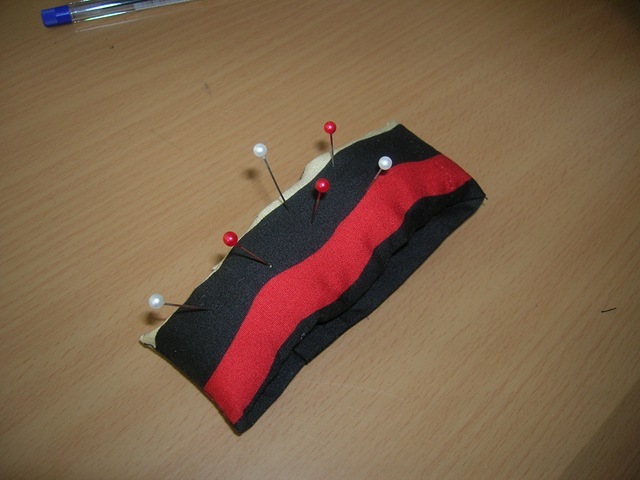 Nima… I would like to make a proper table pin-cushion sometime.